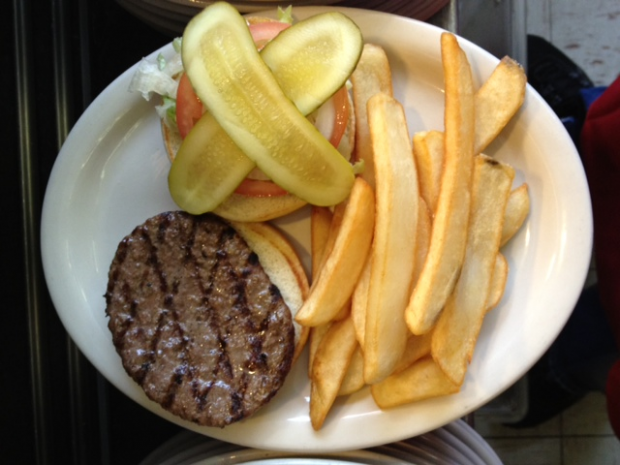 Our juicy quarter-pound beef patty has been popular since we opened nearly 40 years ago! Served with lettuce, tomatoes, onions and pickles. Served with our delicious steak fries or substitute baked potato.